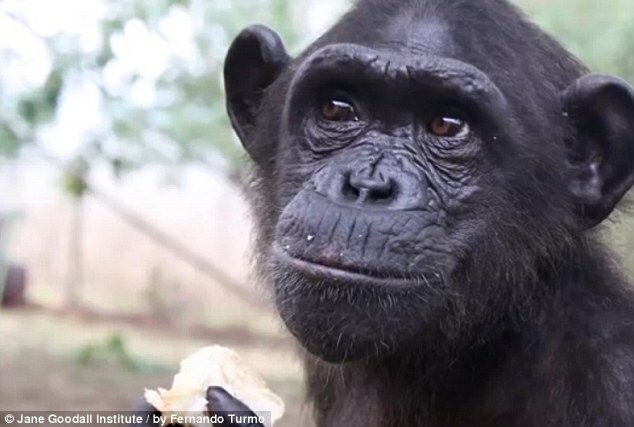 The chimps name is Wounda and the name says it all. 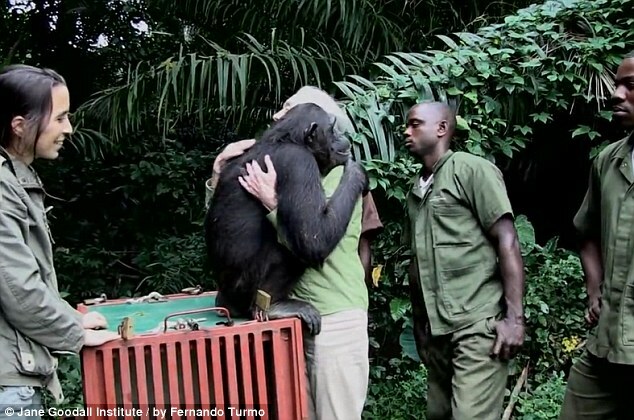 In the Congo it means ‘close to dying’ – and that is exactly how she was found when she was taken in by the Jane Goodall Institute’s Tchimpounga Chimpanzee Rehabilitation Center in the Republic of Congo. Suffering from a number of illnesses and losing weight fast, it was a race against time to help save her life. 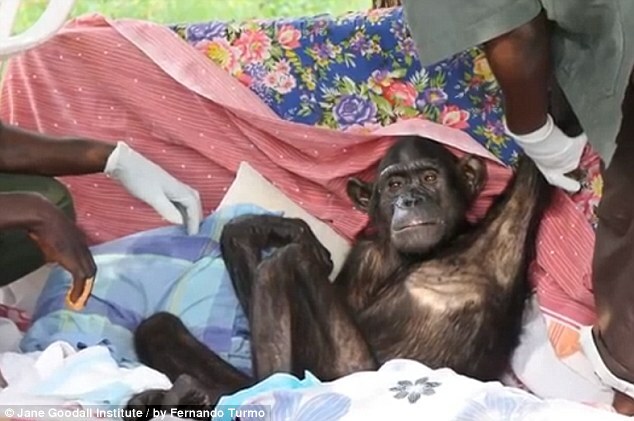 The caregivers at the center saw that she was recovering and making good progress. It has taken years of care and dedication to nurse her back to health, until finally she was strong enough to be released into the outdoors once again. 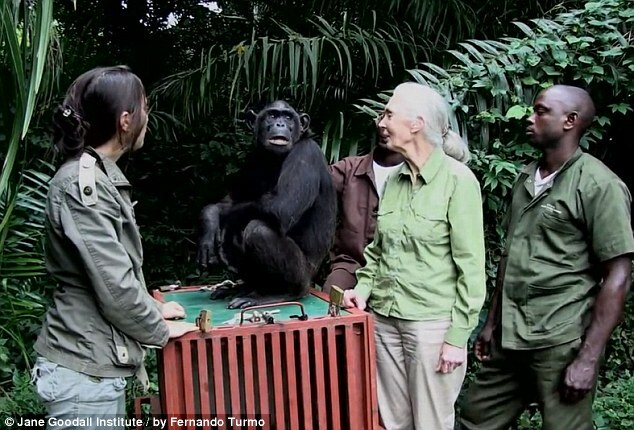 The rescue work that Jane and her Institute have been doing is so incredible. 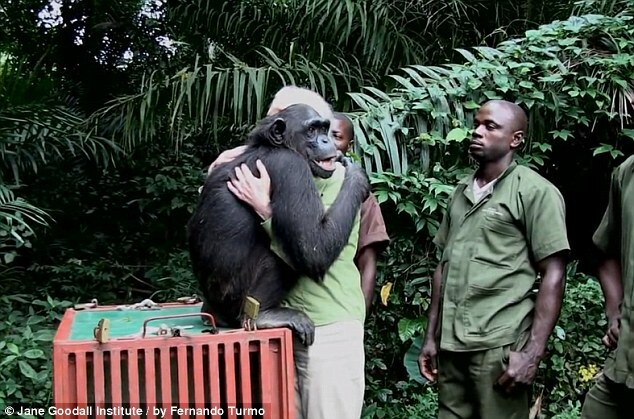 Jane is hoping that she can release many more chimps like Wounda back into the wild. Eventually, the day came when it was time for her to live her life free from human interference. 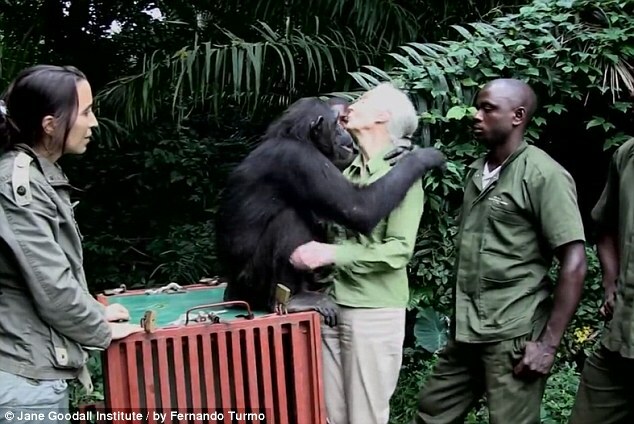 This amazing moment when the chimpanzee Wounda hugs Jane Goodall will bring tears to your eyes!